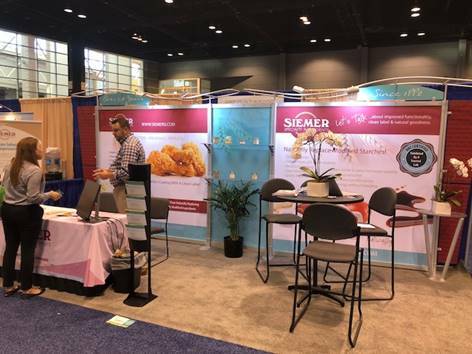 Rob Ferguson, Senior Account Executive recaps the 2018 Institute of Food Technologists Expo that took place July 15-18, 2018 in Chicago, IL. This year’s “Annual IFT Food Expo” was another successful event for us. In fact, I think we would all agree that this year’s event was the best we’ve had yet! 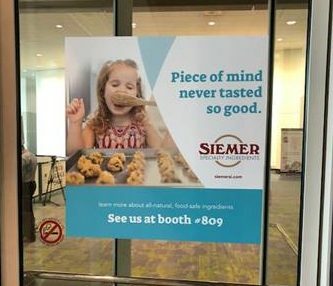 I’ve been representing Siemer for 12yrs now at the IFT and have watched as the industry gets to know us more and more every year. We used to be a very small fish in a very large pond. 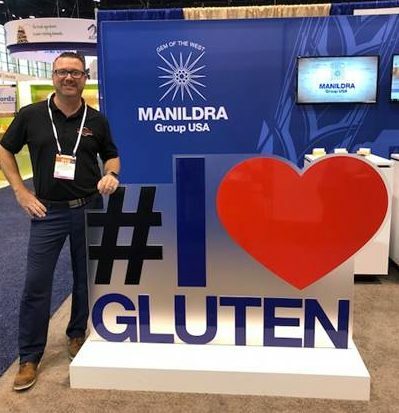 However, although still small compared to many, we are most certainly gaining awareness and the attention of more and more companies out there that need Heat Treated Wheat Flour. Of course, we represent more than just Heat Treated Flour, but HT is certainly the focus at this event as we work to educate the consumer/formulator of the capabilities that we have. “IFT”, or “Institute of Food Technologists” is one of the largest food shows in the US and averages around 23,000 people per show. These folks consist of Sales, Marketing, R&D, and Executives. It’s a great arena for us to not only introduce what we have, but to mingle and connect with existing customers and prospects both current and past. It’s a long 3 days of non-stop talking and mingling with folks from all around the world. There are educational sessions, competitions, celebrity speakers, networking parties, and of course…the trade-show itself. I attached some pictures below showing our presence at the show.